The Sennheiser ClipMic Digital lavalier microphone is the $200 entry level Sennheiser microphone for those wanting to record using the iPhone via the lightning port interface. And that's exactly what it is - entry level… only it's entry level for $200 US? I want to thank the team at Dragon Image for hooking us up with the Sennheiser ClipMic Digital for reviewing. So to start with, Sennheiser's team up with Apogee is a great match. Apogee bring the smartphone smarts and Sennheiser bring the hardware. But that's about where the greatness stops. By itself this microphone would probably sound okay to someone not listening too closely, but comparing it against other microphones like the RODE SmartLav+ ($69 US), the ClipMic Digital actually sounds worse and you're paying $130 more. So that leaves me wondering, what's all the fuss about? 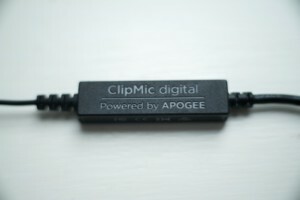 The Sennheiser ClipMic Digital has it's own hardware 24-bit/96 kHz signal converter by Apogee - which is supposed to make it sound better right? Sadly the ClipMic's "quality digital sound" is all hype in my opinion. This became very clear after testing the ClipMic ($200 US) vs the RODE SmartLav+ ($69 US) and the Sennheiser MKE 2 Digital ($499 US) in the same environment with the same positioning and the same app settings. Below are my audio comparison results - let me know what you think! 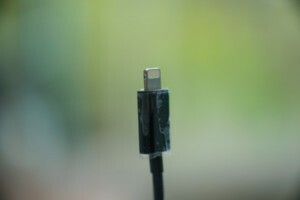 The ClipMic Digital has a decent cable length (1.6m) or about 1.5x the SmartLav+ and the cable is slightly thicker in comparison to the SmartLav+ which is a good thing because thicker cables usually mean less chance of breakage. The inline signal converter is a worry though as even though the fittings and casing seem pretty sturdy, it's just one extra potential point of failure. An additional downside to the extra thickness and added signal converter is the added weight and rigidness of the microphone. The ClipMic weighs around 4x that of the SmartLav+. If you're using the ClipMic on an iPhone 5 or 6, then you'll also be able to use the headphone jack to monitor your audio without needing an adaptor however you'll obviously be out of luck in that regard with the iPhone 7. On another note, this microphone is also pretty future proof as long as Apple don't switch to USB-C connections for their phones any time soon. The Sennheiser lavalier is compatible only with iOS devices from the iPhone 5 and up. This is because the microphone uses a lightning connector. The Sennheiser ClipMic Digital comes with a lapel clip and a metal mesh wind guard which clips on easily. The metal mesh wind guard is quite a bit sturdier than foam guards and it's easy to tell it will also last a lot longer - fun fact, it's also washable! 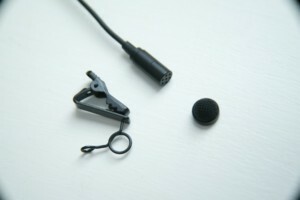 The lapel clip slides over the top of the microphone and sits just below the capsule. I would have preferred it if the clip would have been similar to the MKE 2 Digital clip that can be slid up and down the cable for better positioning. That being said, these attachments are great quality and should stand the test of time. 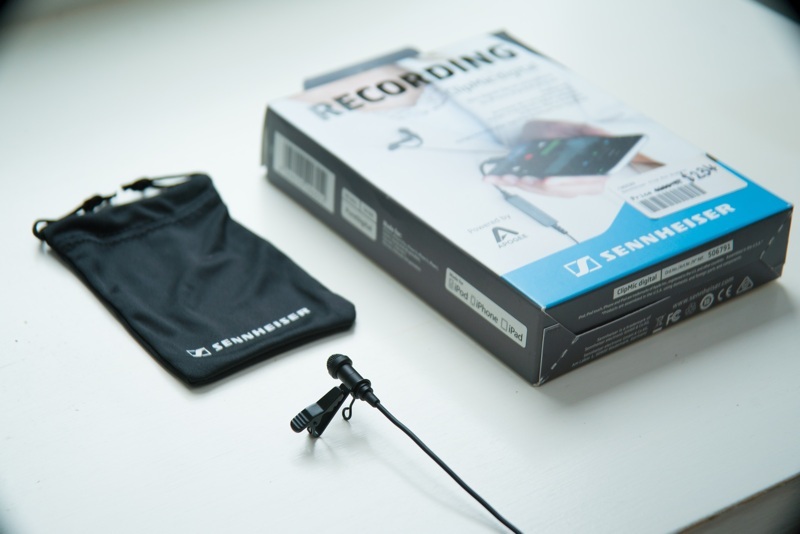 Sennheiser also provide you with a drawstring bag to store the mic, clip and wind guard in which is a nice touch. This microphone is perplexing, it's described as the "entry level to professional audio" but considering the sound, it's still quite amateur. It's got a digital output, the Sennheiser brand and a quality build but it still doesn't sound that great for what you're paying. If you have an iPhone 7 only, then this might be a practical choice, but if you have an iPhone 6 or below then i'd be going for the RODE SmartLav +. I hope this review has helped! If you have any questions, comments or would like me to review another microphone of your choosing, please me sure to let me know in the comments section below.